Posted on November 19, 2014 by revivewa	in Faith in Action, News and tagged 1, love makes a way. Advocates for children suffering in detention have been arrested after sitting in the office of MP Kevin Andrews to request the release of all children and families from immigration detention. Five church leaders have been arrested after a prayer sit-in in at Cabinet Minister for Social Services Kevin Andrews’ electorate office. The group were requesting a timetabled commitment for the release of all children and families from immigration detention centres. They asked that Kevin Andrews become a public champion for the immediate release of children and families. Despite an invitation to respond to their message, Kevin chose to remain silent and decided to arrest the church leaders and close his office early today at 3pm. 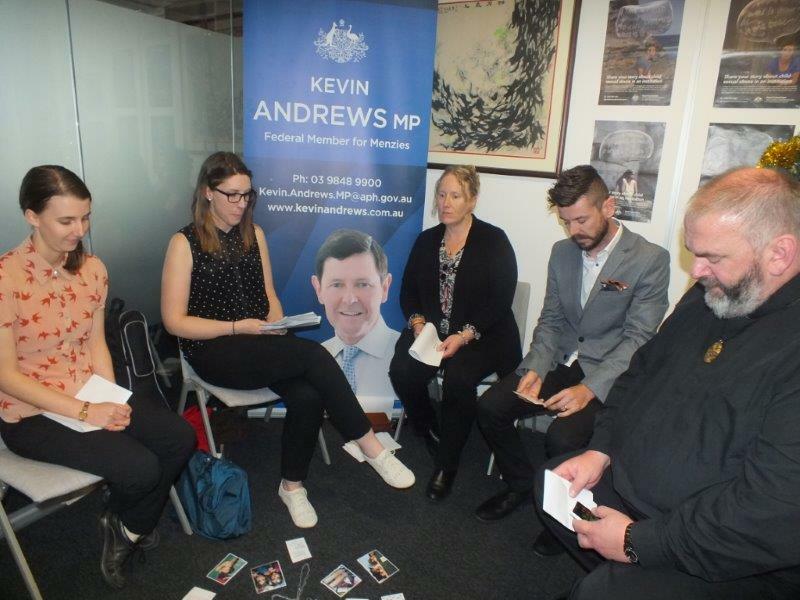 The group made this request of Kevin Andrews because he is both a Cabinet member and a vocal public advocate for children’s welfare. However Kevin had been silent regarding the harmful effects of the detention of asylum seeker children. This follows a series of prayer-centered sit-in actions in MP’s offices that has sparked a nationwide Christian movement called Love Makes A Way which has seen almost 100 Christian leaders arrested. 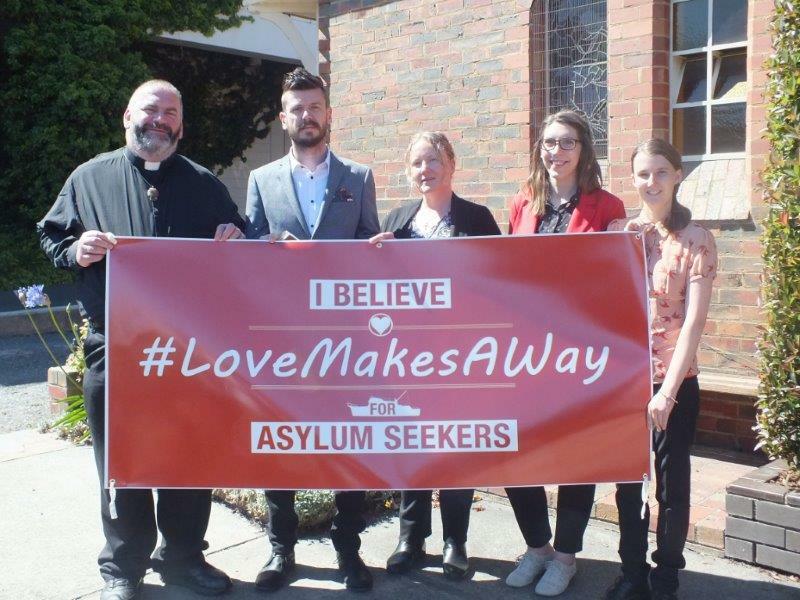 Love Makes a Way is a national movement of Christians seeking an end to Australia’s inhumane asylum seeker policies through prayer and nonviolent love in action. The participants in today’s prayer vigil represent the many members of a growing nationwide grassroots movement that is rapidly building momentum, with scores of Christians across Australia expressing interest in getting involved in future prayer vigils.